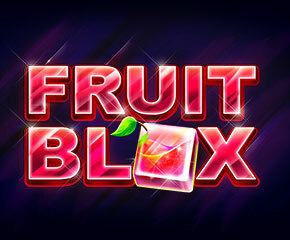 Fruit Blox is a fruit-themed video slot by Red Tiger Gaming with a 6×4 reel set and an amazing 6,000 ways to win. The minimum bet is 20p and the maximum per spin is £10 which is still reasonably in the reach of low stake players. Wins are earned when players land identical symbols horizontally or vertically on the reels. There are also colossal symbols which can earn you a 2x stake multiplier for wins they are involved in. Read on to learn more about this video slot. The fruit symbols in this fruit-themed video slot come in 3D. These fruits include lemons, cherries, grapes, plums and oranges. Apart from fruits, there are lucky sevens, stars, bars and bells on the reels. In Fruit Blox, whenever you are able to land a total of 3, 4, 5 or 6 lucky seven symbols on the reels at any one time, you will earn a 0.5, 1, 1.5 or 2x stake multiplier respectively. The wild of this slot will replace other symbols on the reel to help you land combo wins when you play. There are colossal symbols that show up on the reels. You will trigger a Mega Tile Feature whenever you are able to land at least two of the colossal symbols on adjacent reels. When this occurs, you will earn a 2x stake multiplier and double your overall payout. The free spins feature is triggered when you land just one of the colossal free spins icon. This icon shows up as blocks of 4 on the reels. You earn a free spin for each of the individual free spin symbols on the show. So landing a block of 4 free spin symbol will earn you four free spins. However, where you land two blocks of 4 free spin symbols on adjacent reels, you will earn 8 free spins. It is possible for you to earn a 10,000x stake multiplier if you are lucky with multipliers in the Mega Tiles feature. 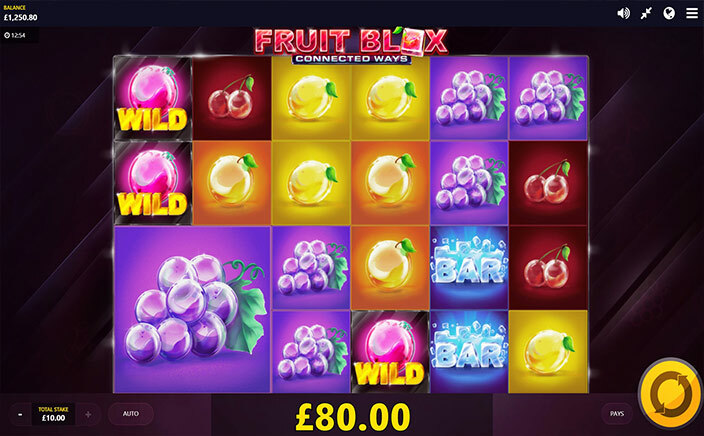 Fruit Blox is an exciting and fun video slot with a free spins feature that can be retriggered and earn you as many as 20 free spins at a time if you are lucky.